Wharfedale is celebrating its 75th anniversary this year with a limited edition version of its popular standmount loudspeaker, the Diamond 9.1 (£180). The Diamond moniker is legendary in hi-fi circles, and over the years the ranges have become some of the company's most revered and successful products. The special edition two-way anniversary model features a real walnut veneer, finished in the same 'wax-oil' ­as used on the company's £14,000 flagship speaker, the Airedale Heritage. It also benefits from a magnetic, flush-fitting 'Heritage' grille, a design also seen on the flagship model. The fine detailing extends to the champagne finish alloy trim and the "truly superlative build", according to Wharfedale. 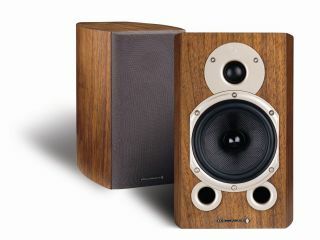 The speaker is based around a 25mm tweeter and a 125mm (5-inch) bass/mid driver with rated sensitivity of 86dB. Only 2,000 pairs will be made for global consumers and each set is individually numbered and supplied with a certificate of authenticity. Be quick, the speakers will only be available until 31 December 2007. Wharfedale was one of the early pioneers of hi-fi audio. Founded in 1932, the company started life making drive units and has established itself as one of the UK's best-known hi-fi brands.